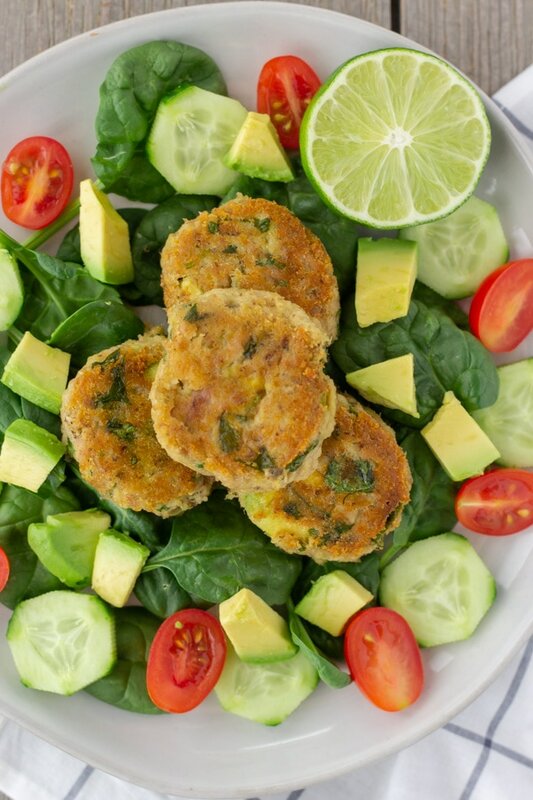 Easy and healthy tuna cakes flavored with chunks of avocado and cilantro. 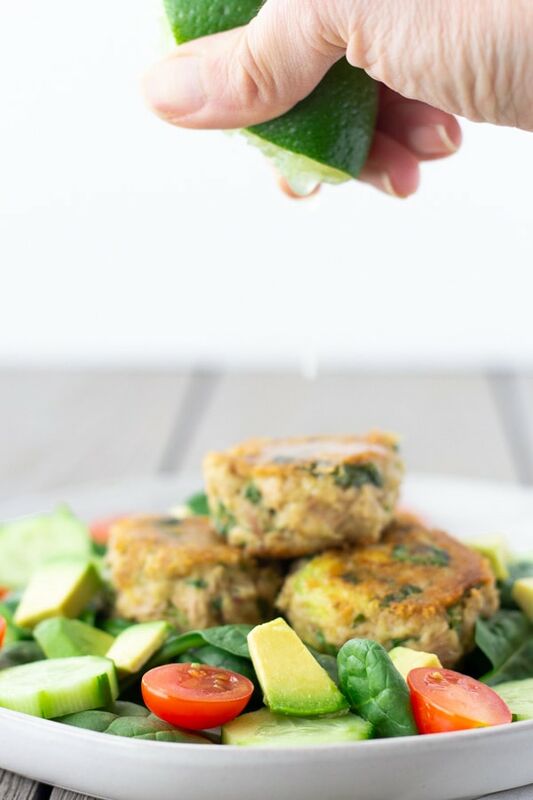 These avocado cilantro tuna cakes/patties are easy to make in a pinch and can be ready in 15 minutes. 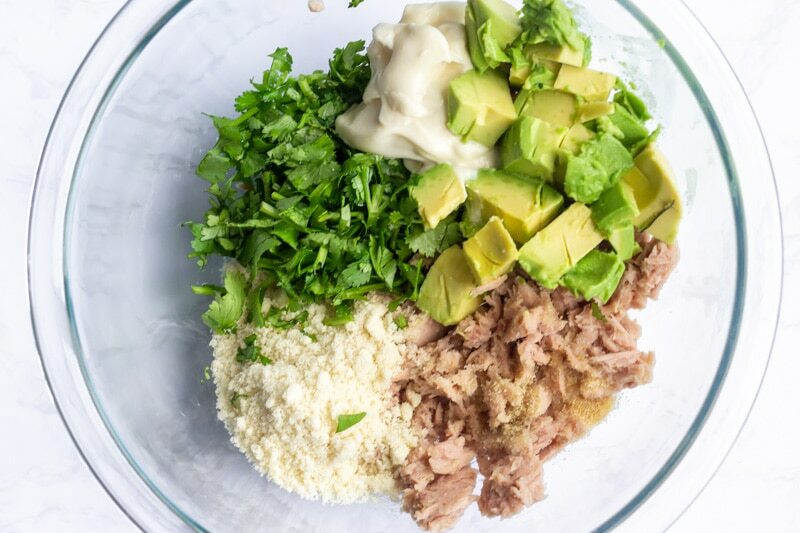 I always have some type of tuna in my pantry, and the first time I made these I was in hangry mode! You know where you’re so hungry that anything in your way of eating will set you off! That was me lol. Luckily I had some canned tuna, half of an avocado leftover, and some wilting cilantro that needed to be used. I’ve also been trying to use more almond flour in my cooking and baking, so I decided to give it a try as the binder. I usually add an egg when I make tuna cakes, but actually didn’t have any and figured the mayo would work as a good binder. You could also add some chopped jalapenos to give them a little kick. To my surprise, these held up well and fried up nicely! To get a nice crust on the cakes, use a nonstick pan and some oil. Let them cook undisturbed four about 2 minutes on each side. 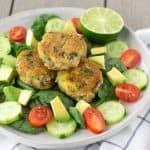 I’ve made these Tuna avocado cilantro cakes several times already and first time made them in a large patty to fit a bun. It was a really tasty tuna burger! This time I opted for smaller cakes so I could have them on top of a salad. If you have a gluten sensitivity then these are great since they are made with almond flour. Be sure to give a nice squeeze of lime or lemon before serving to brighten up the flavors. That’s actually all I used to dress the salad, lime juice and some salt. I had a few patties leftover for the next day and they still kept well. To reheat, I just placed them back in a skillet to warm them up and ate them in a pita wrap with mixed greens. 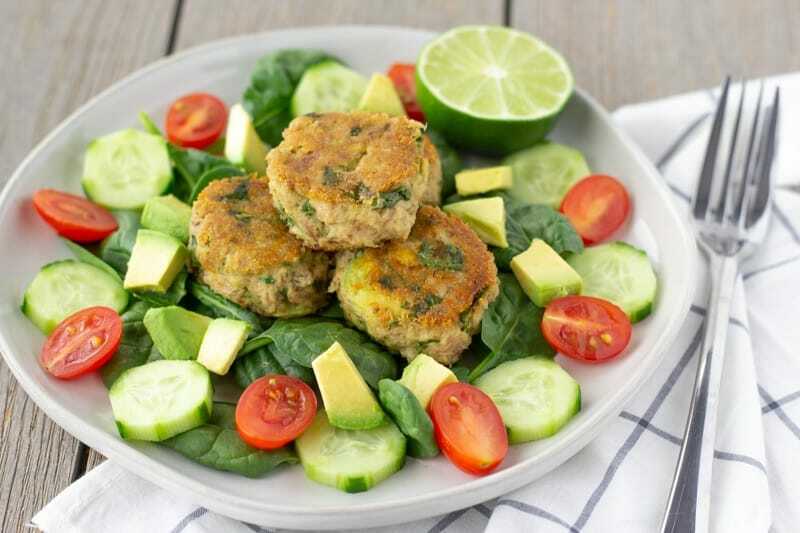 Mix all the ingredients together in a bowl and form either small or large patties. 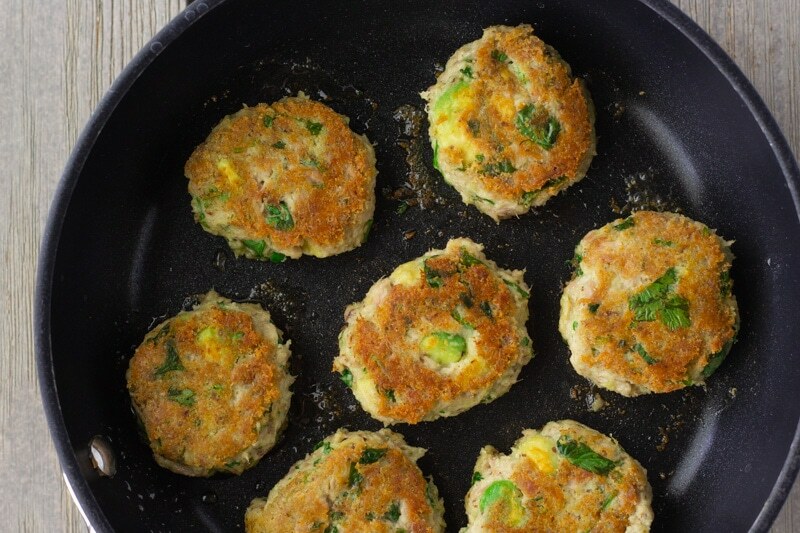 Gently place them in a nonstick skillet with oil over medium-high heat. Don't move them around, allow each side to cook for about 2 minutes. When flipping be gently so they don't get smashed. Serve in a salad, as a sandwich, with rice, veggies, or as a party appetizer. You can add chopped jalapeno for some spice.